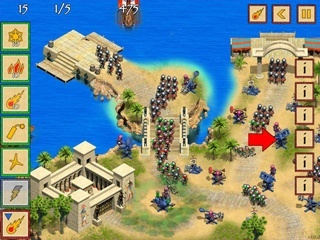 Defense of Egypt Game - Download and Play Free Version! Defend Egypt from the Roman Empire! Defend Egypt from the Roman Empire! An epic strategy game between two of the greatest empires to ever exist! 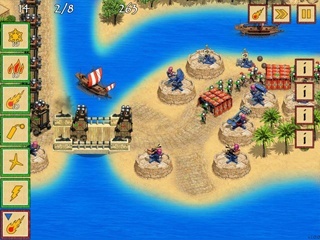 Great battles await you with huge numbers of Roman units ready to attack at every level. They'll use various tactics, different unit types, and alternate routes to seek the destruction of your Egyptian empire. Use your unique system of weaponry and spells! Upgrade your weapons during each battle to take out larger and tougher units the Romans throw at you. 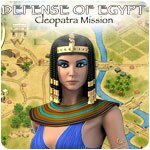 Quick calculations, rapid responses and the assistance of the Egyptian Gods will allow you to defend the independence of Egypt, led by the beautiful Cleopatra.